Since the website recently got updated, I figured this would be a great time to re-introduce myself! My name is Gabriela. I’m not the typical woman who has always dreamed of her wedding day since she was a little girl, I was never interested in weddings at all – until I went to one. From that day on, I was obsessed. I immediately jumped into the wedding world and started an internship where I learned the basics from what a BEO and chivari chairs were to properly calculating a wedding timeline. From there I was lucky to have extended my experience by working and interning with a few luxury wedding hotels and celebrity wedding planners. 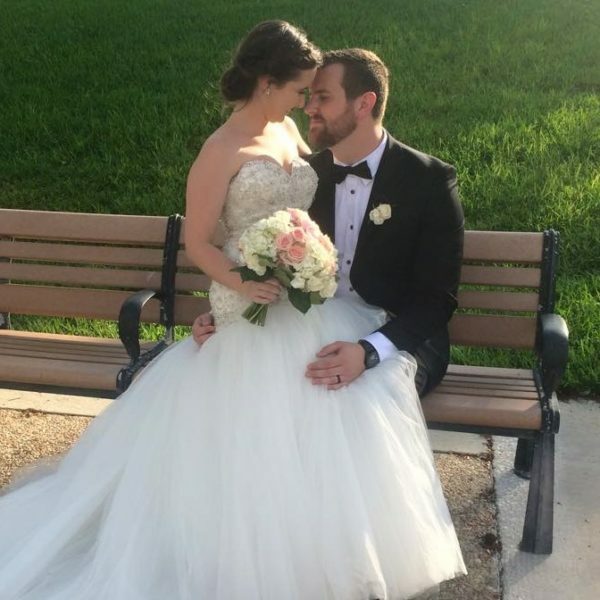 My dreams came true when I spent a year in Orlando working with Disney’s Fairy Tale Weddings and Disney Meetings. Although hands-on training is very valued, I am eternally grateful for my certifications. With a bachelor’s degree in Business and a Certificate of Meeting and Event Planning from Florida Internation University, I was able to successfully start my company. Then, as I focused more on weddings, I became a Certified Wedding Panner through The Bridal Society and Lovegevity’s Wedding Planning Institute. Now, if you know me, you know that weddings isn’t just what I do- I eat, breath, sleep weddings. I’m a hopeless romantic, so I am madly in love with love. I live to see the father’s face when he sees his daughter in her dress on her wedding day, I get butterflies when I give the bride’s dress one final fluff before she walks down the aisle, and I still tear up during the bride and groom’s first dance as a married couple. It’s seeing the couple truly enjoying their big day along with their friends and family that makes me fall more in love with weddings every time.